Welcome back sweet friends! 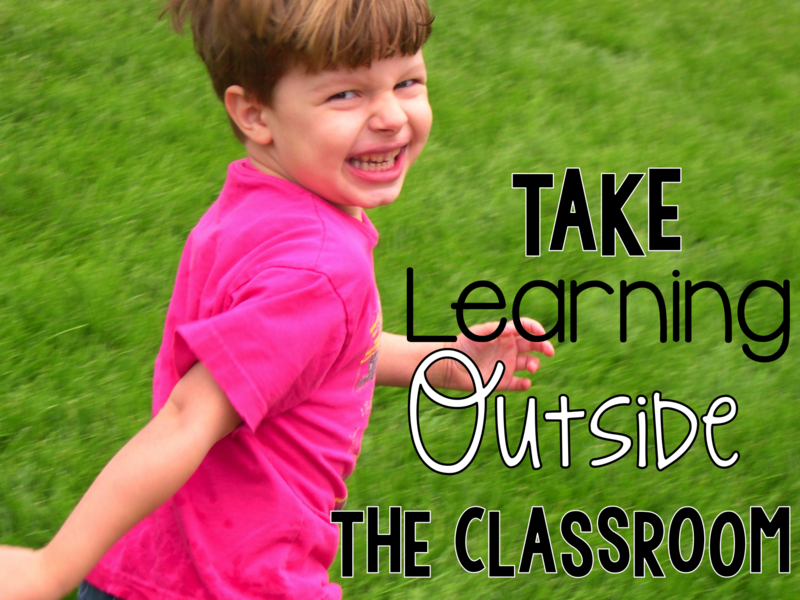 We are on part 3 of my series “Take Your Learning Outside”. 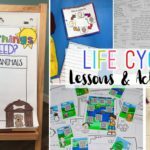 So far we have covered both Science and Writing/ELA activities. 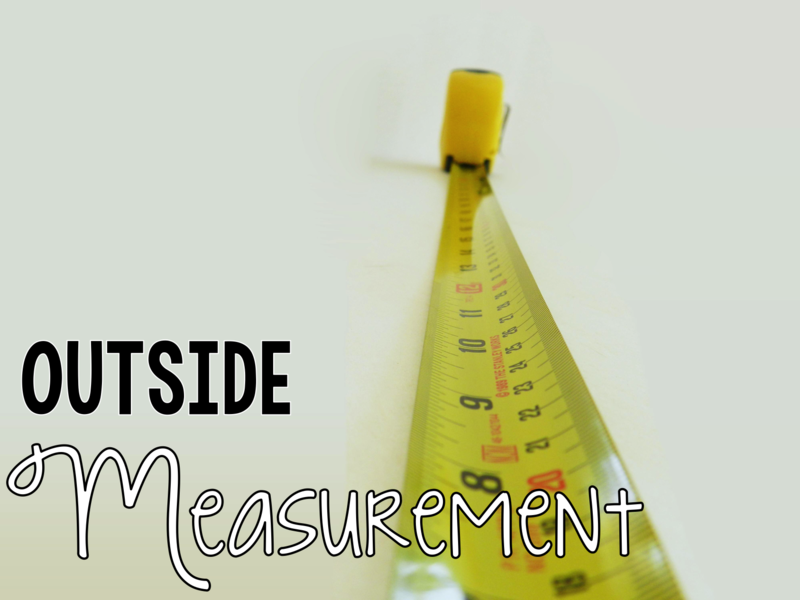 Today is the final post that will cover math activities that you can do outside the walls of your classroom. This activity is part of one of my favorite math packs (Transportation Graphing). If you own this pack, you can use the tally sheet from it or create your own. 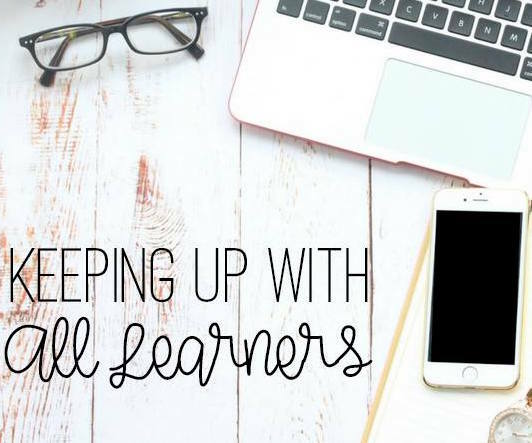 Review how to make tallies with your students. 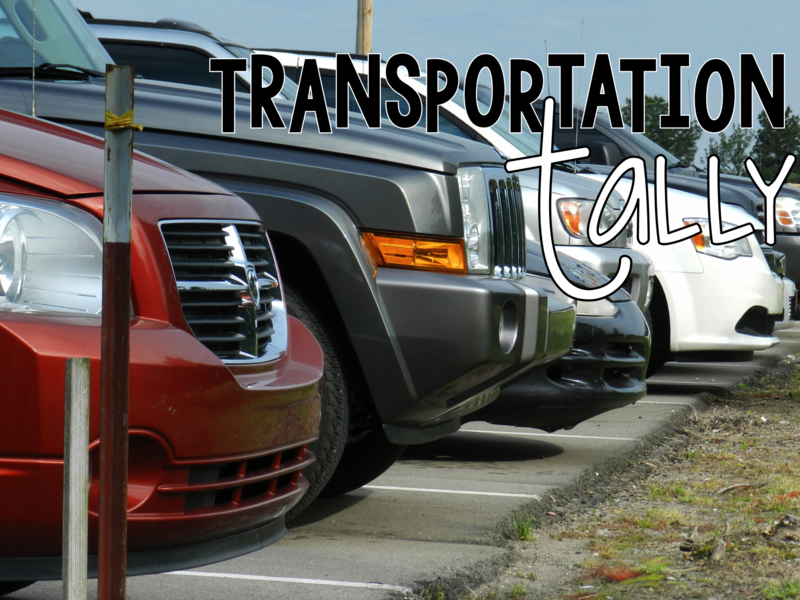 Then create or use a t-chart graph to show the different types of vehicles that drive past your school (or you can use the cars in your parking lot). Then take students to a save and shaded spot on your school property where they can tally the vehicles that pass by. Observe for 20-30 minutes. Return to the room or huddle together outside. Discuss the tally chart and total the numbers of each vehicle. Talk about the different traffic they might would have seen at different parts of the day. Set a timer in the classroom for 1 minute. 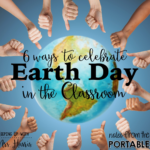 Encourage students to be silent and think about the activities that take a minute. 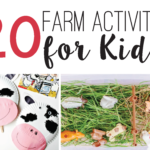 Make a chart to list things that take a minute and things that take longer than a minute (example, walking down the hall takes a minute, but taking a bath takes longer than a minute). Group your students in pairs. 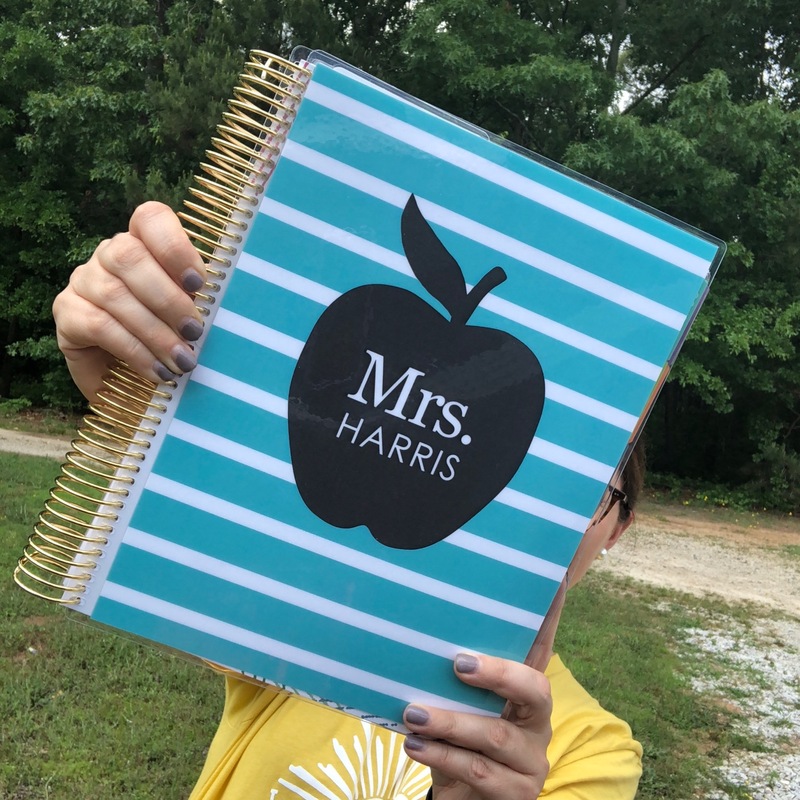 Give each set of students a pack of bubbles, a clipboard, and a pencil. 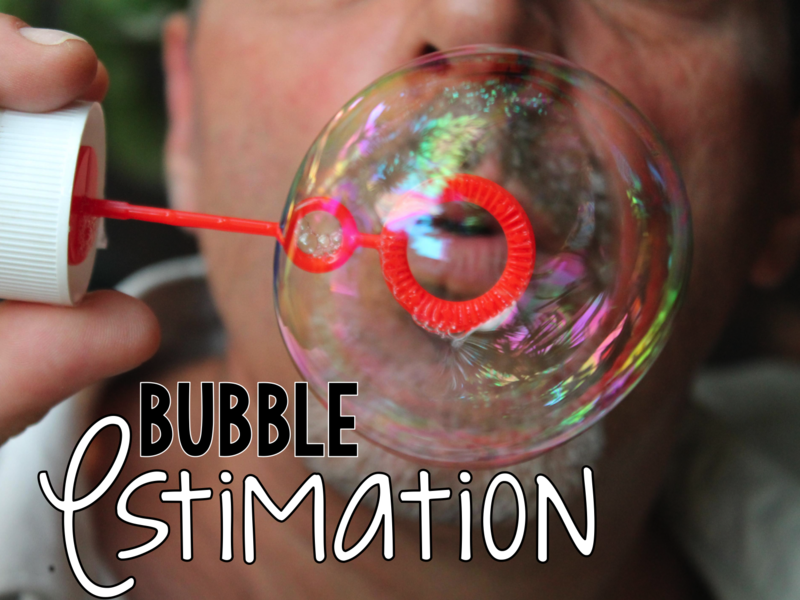 Ask students to estimate how many bubbles they think they can blow in 1 minute. Then have one student record tallies while the other student blows the bubbles. Switch and allow both partners to have a turn. If you have enough time, extend the time or shorten the time and let students estimate for the new time given. This activity will be best if completed in the afternoon around 2:00 or when the shadows will be a little longer. 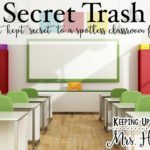 Group your students with 1-2 other students. Give each group a large piece of white butcher paper and a pencil. Challenge them to find an object with a large shadow (but one that will fit on their paper). Then allow students to go and trace around the shadow of their object. Go back to the room and give each student a measuring tape. Allow them to measure how long their object’s shadow was. If you want to incorporate science into this activity, you can discuss the movement of the sun and the affect on the shape of shadows. You can have students measure and draw the same shadow at different times of the day. 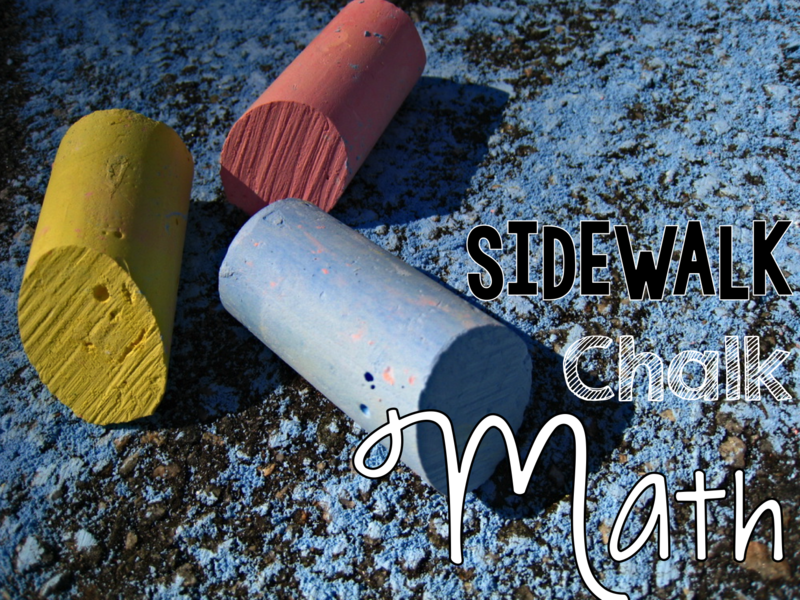 Write odd or even numbers on the sidewalk and then let students throw beanbags to odd or even numbers (depending on what you call out). Time students as they write down as many fact families as they can. Let students draw hop-scotch grids and number the boxes to a specified value. Draw shapes and label the number of sides and vertices each has. 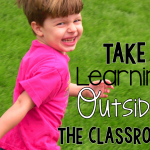 I sure hope that you have enjoyed this short series of blog posts on ways to incorporate learning outside the classroom. 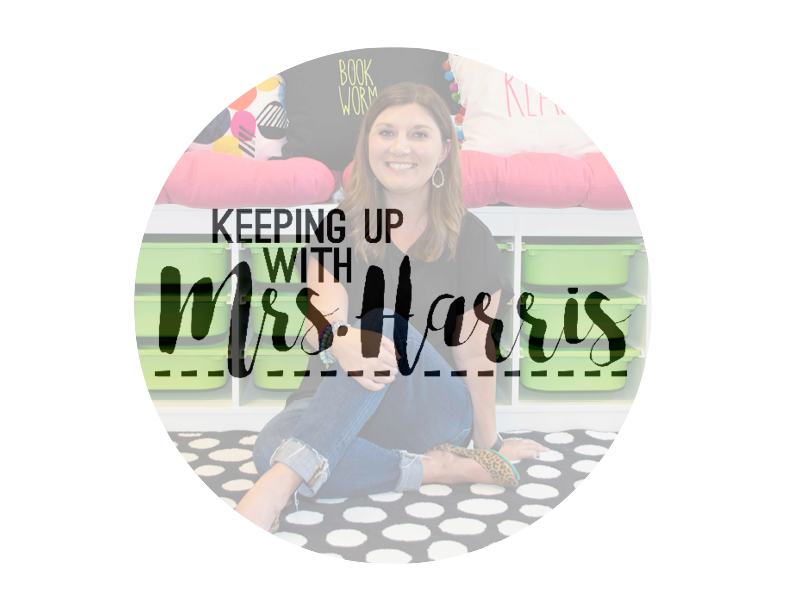 This is such a fun and exciting time of year that you can enjoy with your students. Do you have any tips for surviving Spring Fever? Comment below! I would love to hear your ideas!